Gauge retention and get feedback instantly and regularly to adapt teaching methods. Do polls/feedback to assess retention and engage students. Students can ask questions anonymously and together bubble up questions and flag concerns for instructors. 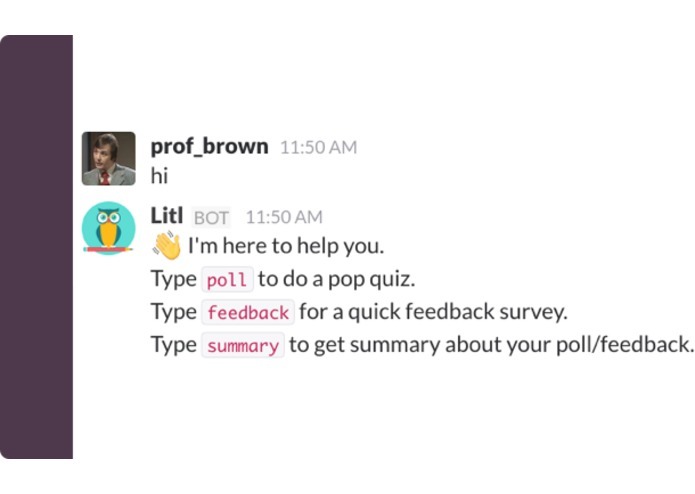 Litlbot is a Slack bot that enables realtime interaction with students in class, creating a more engaged classroom and learning experience. 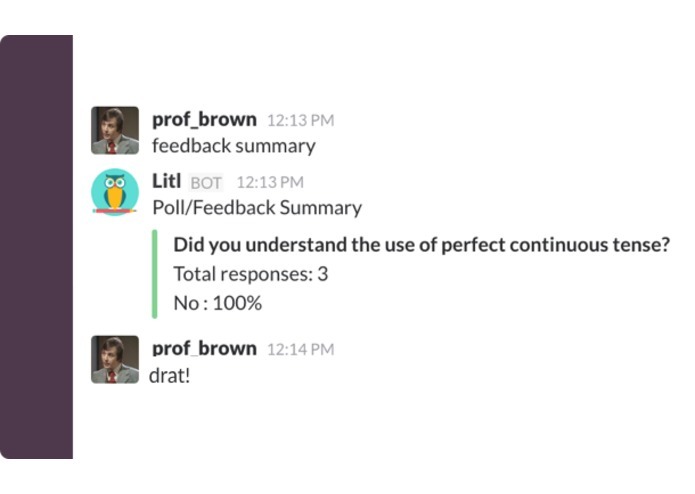 Digital Assistant for Professors Litlbot allows professors to take a live 'in classroom' pop quiz or take a feedback survey from students. 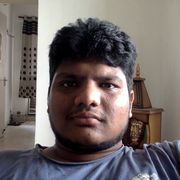 Questions could be based on course content, teaching speed, class notes, assignments, quizzes etc. Assess and Adapt Professors can view feedback results in a live classroom and adapt in real time. Anonymous Questions Not every student is comfortable asking questions in a classroom. 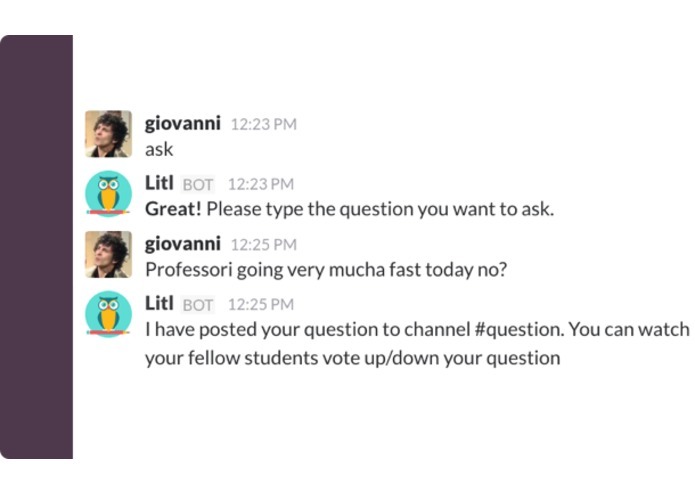 Litlbot allows students to anonymously ask questions. 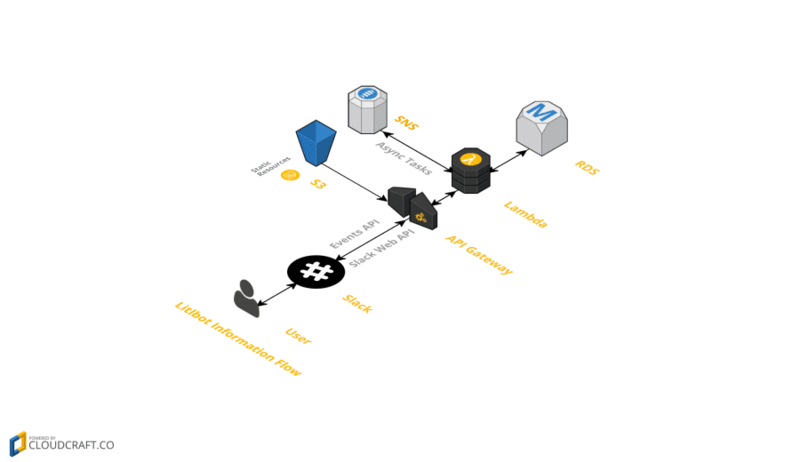 Live Demo Head to https://jropljt2oa.execute-api.us-east-1.amazonaws.com/dev/ to see it in action.